What do ramen, pho, turmeric and mug cake have in common? They’re all ranked as top “risers” in Google’s 2016 Food Trends report, an analysis of the terms Americans typed into their search bars between January 2014 and February 2016. Leafing through the report reveals important insights into which foods and drinks are piquing consumers’ interest—as well as which ones are not. For instance, searches for jackfruit, cauliflower rice and Funfetti increased; searches for agave nectar, Dutch baby pancakes and those beautiful, Instagram-perfect rainbow bagels decreased. But what foods and beverages folks are Googling right now is just one part of the trendspotting equation. Sure, people are interested in turmeric this year, but will they still be in 2017? In 2018? Or will red-hot turmeric go the way of kale, that healthy but now uninspiring crucifer? At New Hope Network, we aren’t just interested in the foods and drinks currently garnering attention. We’re also jazzed about examining various market and cultural forces in order to forecast which products will gain popularity in the future. We’re driven to prophesize not only what people will consume, but also why they’ll consume it, which enables us to identify prime opportunities for players in the rapidly growing $131.2 billion natural products industry. Without question, the market for healthier foods and beverages has never been stronger. However, according to Natural Foods Merchandiser’s 2016 Market Overview Survey, competition in the natural retail landscape is fierce. 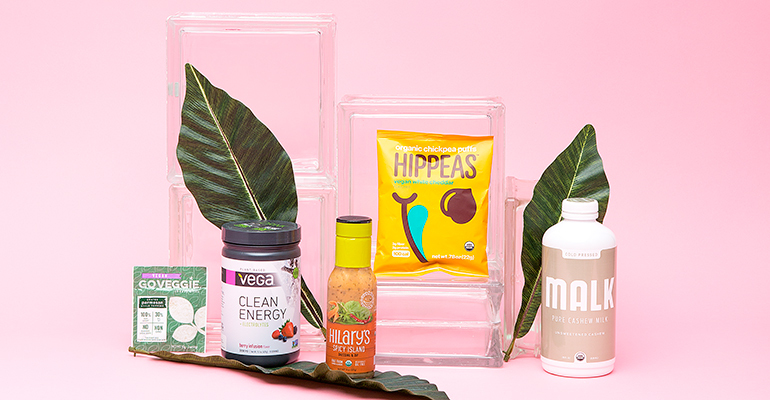 Conventional stores have widened their natural offerings to appeal to wellness-minded consumers—and now they capture 42 percent of all natural products sales. Meanwhile, online retailers like Thrive Market promise access to special-diet products at reduced prices. And the newest threat, the growing number of meal-kit delivery companies, negates the need to go to the grocery store at all. To help brick-and-mortar retailers survive—and thrive—in this cutthroat environment, New Hope’s pro team of editors, trendspotters and NEXT consulting group (which synthesizes natural market intelligence gleaned from proprietary research) identified five major trends shaping consumer behavior, product innovation and sales opportunities. The group noted a variety of factors propelling these trends, including new special diets, sustainability awareness, emerging nutrition research and even evolving societal norms. For instance, one notable shifting societal norm shaping what and how consumers eat is the fact that more Americans are staying single longer. According to the U.S. Census Bureau’s latest Current Population Survey, 27 percent of the population lived alone in 2013—up from 5 percent in the 1920s. Solo living especially changes how consumers do dinner. For many singles today, the last meal of the day might mean microwaving a vegan, gluten-free frozen meal made with organic ingredients. Or perhaps it involves assembling a prepackaged meal kit that was delivered fresh to the doorstep. There’s a name for this trend of cooking fast and delicious meals: speed scratch. According to Adam Zbar, CEO of organic meal-kit company Sun Basket, speed scratch is on the rise mainly because consumers are superbusy. Sun Basket’s most loyal customers are overworked young couples, empty nesters seeking low-key date nights, new brides, recently divorced males—essentially anyone who’s challenged by time and culinary know-how. “The No. 1 thing that unifies our customers is they want dinner to be easier,” Zbar says. “The second thing they request is health. People struggle to eat healthy and be healthy. Sun Basket shows that healthy and delicious do not need to compromise.” Zbar adds that the company is on track to grow revenues by an incredible 10 times this year while also maintaining strong margins. So, given speed scratch’s growing popularity, brick-and-mortar stores should consider tapping into this trend. Some retailers are accessing these same stressed-out consumers by pre-bagging produce and other products that combine into perfectly curated, tested meals. This allows shoppers to grab everything they need in one swipe versus having to hunt down basil in one aisle and spaghetti in another. One innovative specialty grocery store took this idea to a whole other level. Pantry, which opened in Brookline, Massachusetts, in June 2015, sells some local gourmet products. But its main shtick is providing pre-portioned ingredients complete with detailed, chef-designed instructions. Shoppers can easily snag these kits right before dinner. This format is similar to pricey make-a-meal subscription services like Blue Apron, but it allows Pantry to function as a hybrid of a restaurant and a traditional retail store. NEXT predicts the natural products industry will reach $236 billion by 2018. 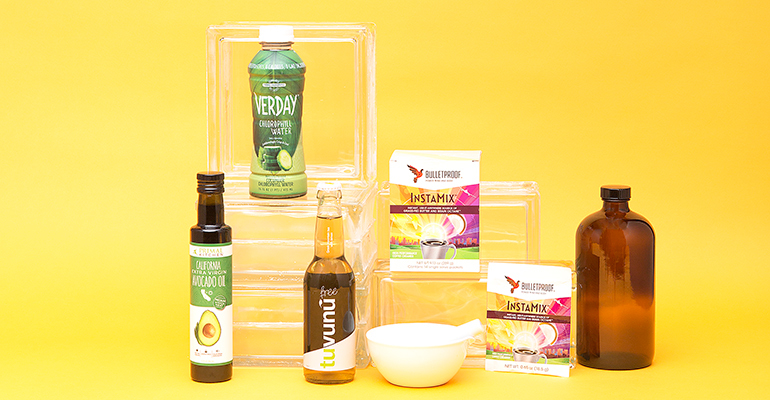 In addition to fostering community and educating consumers, independent retailers can really get ahead by stocking products that strike the strongest, most popular food and beverage trends in the bull’s-eye. That is why as you scroll below, you’ll also learn about products that funnel into these trends. Can you say opportunity? Consumers are looking back to look forward—in foods and beverages, that is. 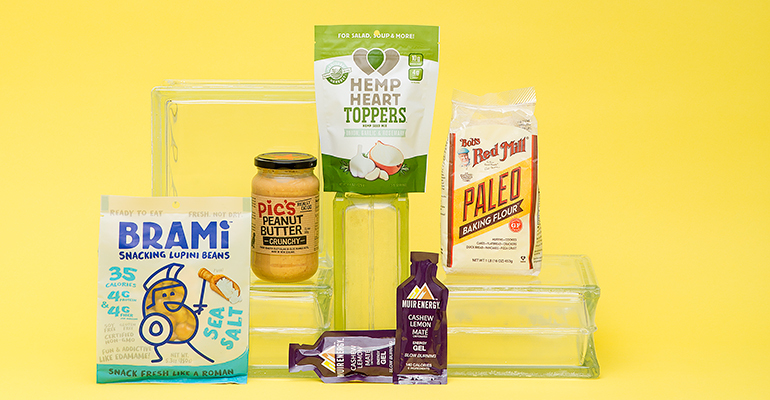 Now understanding that heavy processing often dings nutrition, more shoppers are seeking out whole-food snacks and minimally processed, cold-pressed and raw products made with pronounceable ingredients. Consumers are busier than ever, which makes getting dinner on the table tough. That’s why products and services that prioritize convenient meals are growing in popularity. 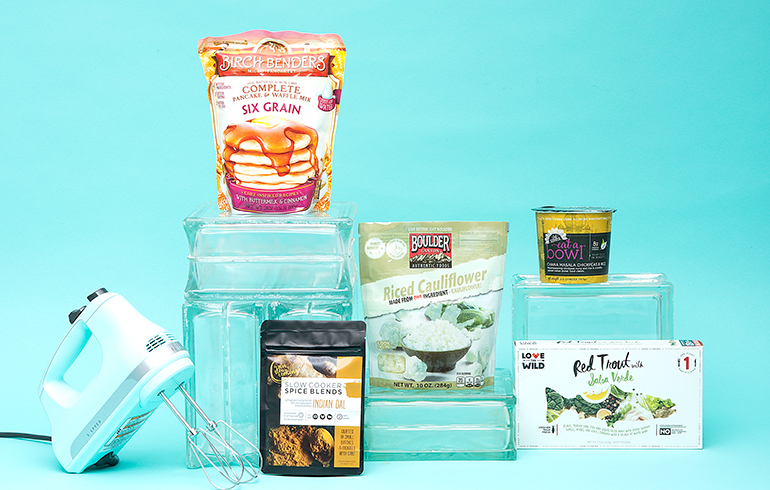 These include meal-prep products (much like better-for-you versions of Hamburger Helper) and cook-at-home meal kits from Blue Apron, Purple Carrot and other delivery services. Plant-based, a trend that spans foods, beverages and supplements, is hot. Even meat-eating shoppers are now cutting back on animal products. As a result, dairy milk replacements derived from almonds, cashews, pecans, coconut and macadamia nuts are booming, while plant-based meat alternatives have become more sophisticated (and better tasting) than ever. It can be tricky to figure out what to eat in order to maximize nutrition and minimize risk of diabetes, obesity and heart disease. But by belonging to a food tribe such as paleo, vegan or gluten free, consumers reinforce certain nutrition philosophies, learn about new products and recipes, and turn to food rather than supplements to stave off disease. Aiming to achieve greater vitality, consumers are smitten with supplements and functional foods and beverages that simmer stress (largely through adaptogenic botanicals) and promote better sleep. 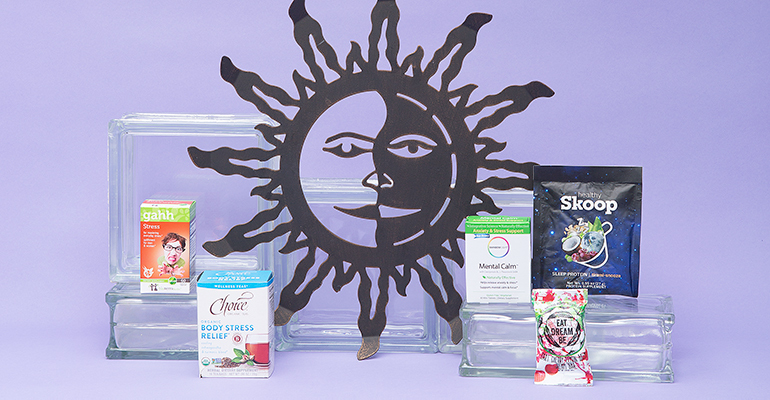 These products provide a natural alternative to prescription drugs.